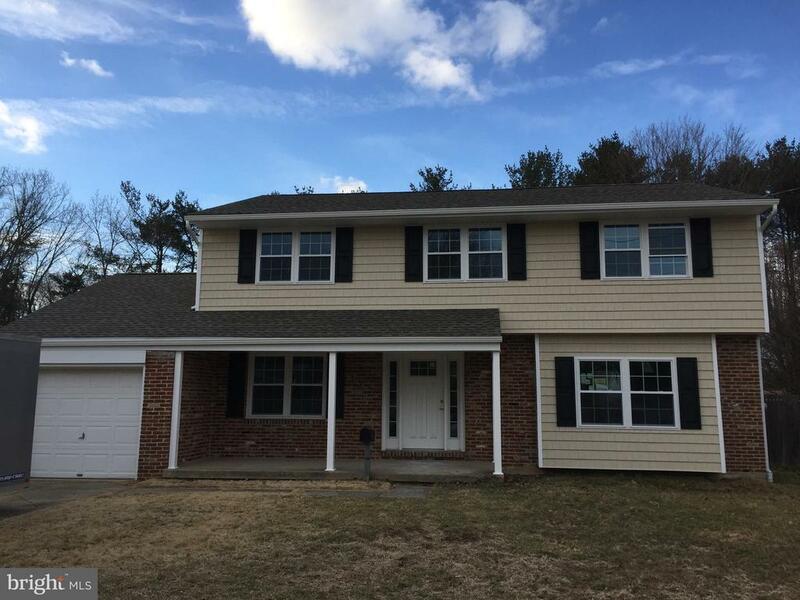 All West Deptford homes currently listed for sale in West Deptford as of 04/20/2019 are shown below. You can change the search criteria at any time by pressing the 'Change Search' button below. If you have any questions or you would like more information about any West Deptford homes for sale or other West Deptford real estate, please contact us and one of our knowledgeable West Deptford REALTORS® would be pleased to assist you. 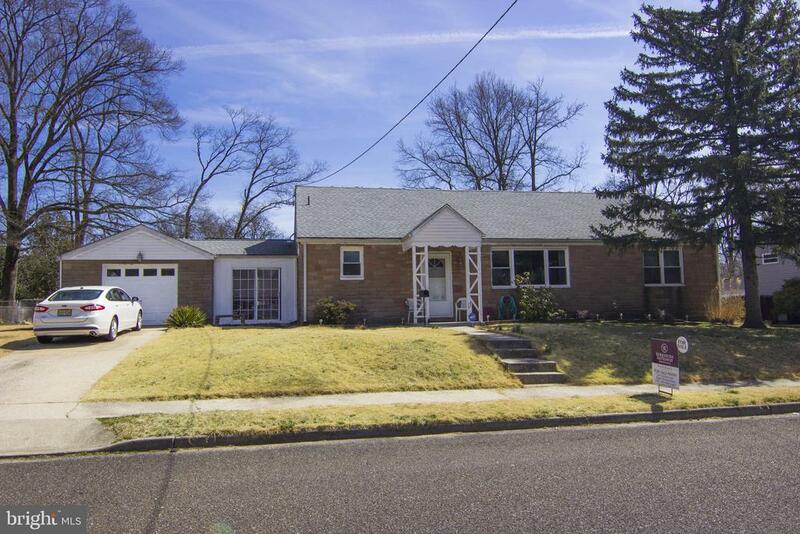 "Don't miss out on this well cared for 5 bedroom, 3 full bath, and 2 half bath home situated on a .35 acre lot in the Sherwood Estates neighborhood of West Deptford. This home features a 3 overhead bay door for 2 car side entry garage, full finished basement and in-ground pool. Pride of ownership is evident as you see the professionally landscaped property with the new (2017) roof, which is a breeze to care for using the irrigation system. Follow the paver walkway to the covered wrap around porch which is a perfect spot to relax under cover with the morning cup of coffee. Step inside to the welcoming 2 story entry foyer with hardwood flooring and open staircase to the 2nd floor lofted hallway. Look to the right and enter the home office through French doors. The formal living room on the left features hardwood floors and a French slider to the wrap around front porch. This room is open to the formal dining room with oak H/W flooring and lighting above. The kitchen features upgraded 42 inch maple cabinetry, center island and newer stainless steel appliances. The kitchen is open to the spacious family room with a gas log fireplace - a perfect spot to snuggle up to on those cold winter days. Just off the kitchen is a tiled powder room, butler's pantry with additional cabinetry & counter space, and a laundry room with laundry chute & large pantry closet tucked behind a pocket door. The 2nd floor features 5 bedrooms and 3 full baths. Bedrooms 2 & 3 share a jack 'n jill bath and bedrooms 4 & 5 share a jack 'n jill bath as well! You will love the huge master bedroom suite with oak hardwood flooring throughout from the bedroom area to the spacious sitting room area. The huge walk-in closet is a great feature with another added bonus inside - a door leading into the walk-in attic storage room above the garage. Step into the tiled master bath with the Jacuzzi tub, custom tiled frameless glass shower, and new vanity & sink - a perfect spot to relax after a long day at work. The"
"A MUST SEE! BEAUTIFUL CUSTOM-BUILT RANCH offers 3 Beds and 2 Full Baths,Full Basement and Private Back Yard, in an Exclusive Development on a largeCorner Lot! Located in desirable West Deptford Twp. Imagine adding anOUTDOOR cooking area that is accessible from the Eat In Kitchen and itcould be used ANY TIME OF THE YEAR on the GORGEOUS covered Concrete Patio!Both Ends of Patio offer Sliding Doors and a back too to the inside. 1 tothe The Enclosed 4 season room Porch that is surrounded in 6 sets of GlassSliding Doors and at the other end is an entrance to the GORGEOUS MasterRetreat! The Master suite and Master bath were added in2010 with a Tray ceiling and 2 Walk in closets and an Incredible MasterBath with renovations that include Bertch Cabinetry & Porcelain Sink & Oversized Tiled Shower w/Corner Soaking Tub. There is a sliding door that leadsto the outside porch which runs the full length of the home. Features like:Double Front Door Entry, with a Formal Living rm that are Highlighted by apainted Brick Wood burning Fireplace (1st of 3 fireplaces! )and BeautifulPicture Window. Formal Dining Room which leads to a huge Family rm. and 2ndFireplace! The Kitchen is soo UNIQUE, Featuring Granite Counters andGORGEOUS Raised Glass Back splash with Basket Weave design and Gas TopRange and Viking Built-In Refrigerator.! . There is a Cedar Closet inBedroom 3 and all The Hardwood Flooring is NEW! This is a Beautiful Home,where Old World Charm meets new and one floor living just makes sense! InWest Deptford, land is at a premium. Privacy and serenity greet you hereon this spacious property!" "New construction- Two home sites to be built that are tucked back with their own private drives and are partially surrounded by preserved land creating a private oasis. 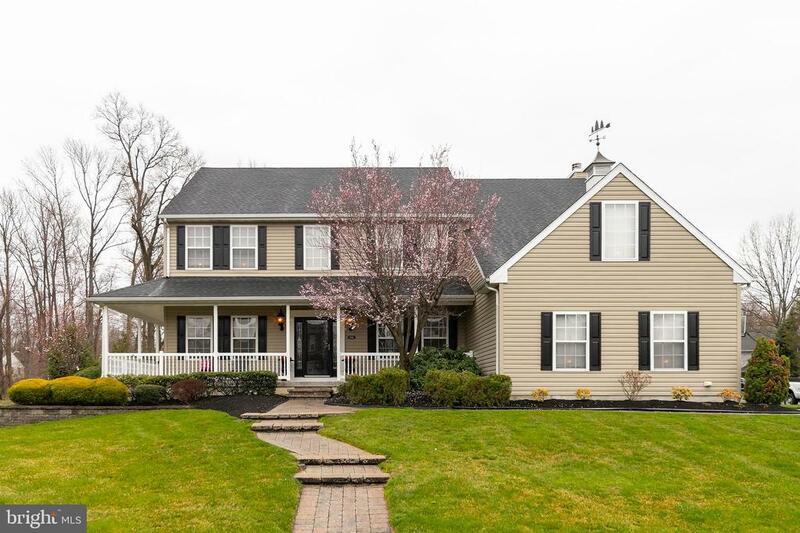 Don't miss out on this 2,585 SQFT 4 Bedroom, 2.5 Bath Colonial situated on a 1 acre lot backing to preserved property. This property features a covered front Country porch to relax on after a long day at work. Step inside to the soaring 2 story entry foyer with Hardwood flooring and open 2 way split staircase to the 2nd floor. This area opens to the Living Room with Vaulted ceiling and the formal dining room area that features Hardwood flooring that continue to the convenient 1st floor powder room. You will love the kitchen with the 42 inch upgraded cabinetry, Granite counters,center island and stainless steel appliances. Perfect layout to host those summertime BBQ's. This area also features Hardwood flooring. The Kitchen area opens to the large family room with a gas log fireplace. Perfect spot to snuggle up to on those cold winter days. The 1st floor also features a convenient laundry room and 2nd entry into the house from the attached 2 car garage. The 2nd floor features 4 spacious bedrooms and 2 additional ceramic tiled full baths. The main bedroom suite features 2 Walk in closets and it's own private bath with double vanity & sinks, Corner soaking Garden tub and a separate shower stall. Also featured is a full walkout basement with sliders out to the rear yard. Perfect area to finish off if additional living space is needed or for more storage space then you could possibly need. 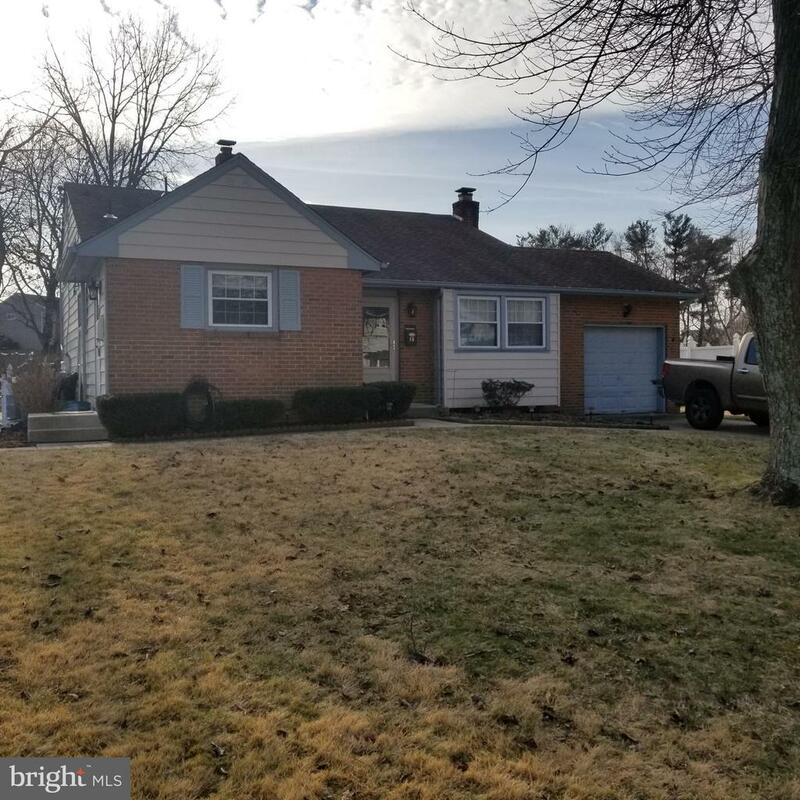 This home is conveniently located near shopping, schools, home improvement centers, restaurants and easy access to Rt 295 North and South to be in the City or Delaware within minutes. Don't miss out on this private oasis." "INSTANT UPGRADE PACKAGE on the Laurelton model at Shira Court: Includes Morning Room, Finished Basement and $5,000 towards closing costs! To Be Built - Brand New Single Family Homes. Cul de sac home sites in West Deptford Township within minutes of shopping, restaurants and Route 295. Easy commute to Philadelphia, Delaware and North Jersey. Shown here is the Laurelton model that is available to be built. It is one of five available floor plans to choose from. All Bruce Paparone homes are Energy Star Certified. Homes at Shira Court include quality features such as: Hardwood floors in foyer, kitchen/dining area and powder room, 42 kitchen cabinets in a wide selection of finishes & styles, soft-close kitchen cabinet doors and drawers, large kitchen islands, granite countertops, stainless steel appliances, ceramic tile floors and shower in master bath, ceramic tile floors and tub surround in hall bath." "Picture Perfect/Absolutely Stunning, best describes this Gorgeous Contemporary home. Elegantly appointed with architectural details throughout exemplify the care and attention that the current owners have placed into this home. Besides being well built the home has been well cared for by it owners over the years. All you need to do is bring your things. Upon entering the home you will first notice the impressive and dramatic 2-story foyer with a curved architectural staircase. With this homes open floor plan and gleaming natural lighting, your search will begin and end here. The sunny and bright gourmet kitchen situated in the center of the home featuring plenty of Maple cabinetry space, granite counter tops, tile flooring, and stainless steel appliances. Additional rooms on the first floor include a spacious formal living room & dining room. The spacious family room with a wood burning fireplace leads to a sun-drenched three season~s room with picturesque views. You will spend endless hours here watching the seasons unfold. For added convenience the 1st floor also features an updated half bath & spacious laundry area. The second floor boasts four spacious bedrooms and two full baths. The spacious master suite has ample walk-in closets space with a beautiful master bath. The partially finished basement could be used as an additional family room, home office, workout space or playroom, and the unfinished portion feature a workshop area and tons of storage space. The home is also solar powered saving thousands of dollars in energy cost each year. Other amenities include maintenance free exterior, two car attached garage, hardwood/tile/carpeted flooring, custom trim work, 200 amp electrical service, newer windows throughout home, gas heat/central air, premium fans & lighting throughout, extra wide driveway and a newer 30 yr dimensional roof. The seller has invested a small fortune in the home. This charming home is all about location. 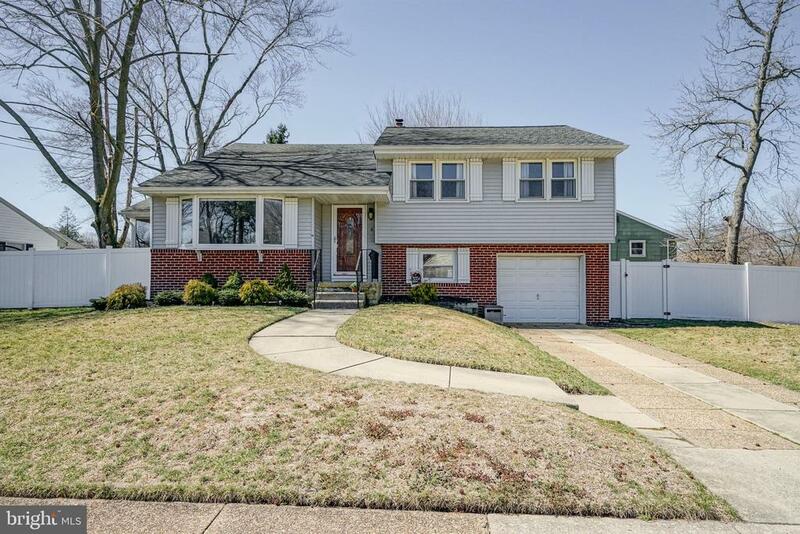 In the heart of West Deptford Town"
"Enjoy everything West Deptford has to offer in this beautiful Sherwood Green Home. Upon entering the foyer, you will note the spacious openness of this home. This home boasts a dual fireplace with one side facing the family room and the other side facing the living room for those cool Fall and Winter evenings. While viewing this home, you will note the pride of ownership in how beautifully its been maintained. Enjoy the Days of Summer soaking up the sun by the backyard pool. This home is perfect for entertaining while enjoying the privacy of the backyard patio, hot tub and inground pool with a 3 year old liner and a 1 year old pool cover. Enjoy the endless activities West Deptford has to offer at Westwood Golf Course, Greenfields Swim Club and Riverwinds Community Center. Enjoy fine dining while overlooking the serene Delaware River from Riverwinds Restaurant. The home is convenient to Rt 295, Walt Whitman Bridge, Ben Franklin Bridge, Commodore Barry Bridge and Delaware Memorial Bridge. Don't Miss This One! One Year Home Warranty!" "Looking for a spacious property on a beautiful, tree-line street in a well-established community, that also provides you with spectacular views of the waterway? Here it is in desirable West Deptford Township. Boasting over 3200 square feet of living space, this property has rooms galore! From the moment you step into the dramatic, marble-tiled foyer, you'll see the over-sized living room with soaring windows that face the front of the property. The adjacent dining room offers plenty of space for all of your family gatherings, and the kitchen will please with its breakfast area that overlooks the waterway. There's a brick fireplace in the family room and the adjoining great room is just that! And that's not all! The office is big enough to convert into an additional bedroom, in-law suite, game room - you name it! Upstairs, you'll find four generously-sized bedrooms including the master bedroom and master bathroom (imagine soaking in your garden tub and enjoying the beautiful, relaxing waterfront views!). The full basement with a walk-out offers endless possibilities for living space and entertaining! There's even a built-in pool! This property features new windows, new flooring, a newer roof, AND it has been freshly painted and landscaped. Check out this property NOW before its too late!" "This Absolutely Stunning Home located in the Highly Desired Development of Sherwood Green is one of the MOST Gorgeous Homes that you will see. You will love the High End Upgrades, Exclusive Setting, Water View, Huge Deck, and so much more. 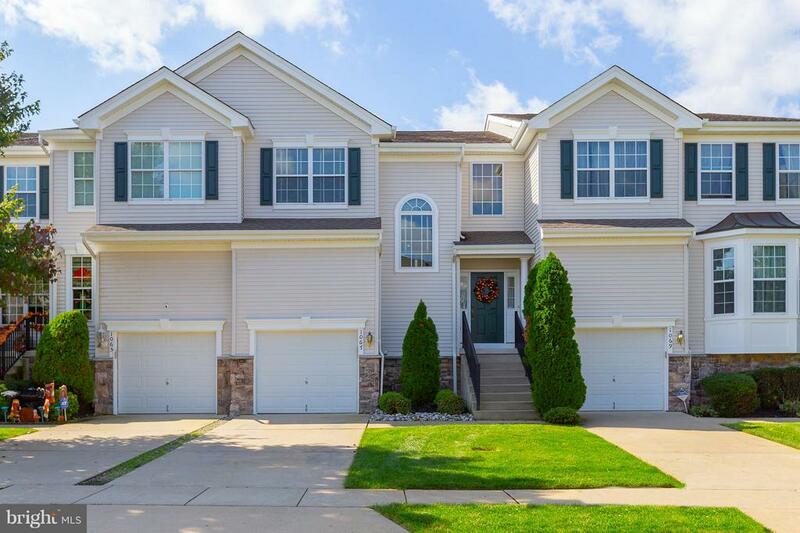 This Home features 4 BR's 2.5 Baths, Full Basement, Spacious and Open Floor Plan, and so much more. Take a look at the Remodeled Upgrades throughout, Hardwood Floors, Bathrooms, and much more. You will FALL in Love!" "Totally upgraded 3 bedroom/2.5 bath Contemporary style 2-Story home with all the upgrades you could possibly want. This beautiful home also features the hard to find full finished walkout basement in the adult communities. Welcoming covered front entry into the dramatic cathedral ceiling in the 2-story entry foyer, living and dining rooms with the open oak & wrought iron railings to the 2nd floor. Gourmet kitchen with its 42 Cherry Cabinetry, center island with granite tops, stainless steel appliances and Cherry Hardwood flooring. Open family room with custom built-in entertainment area, French doors to a home office. 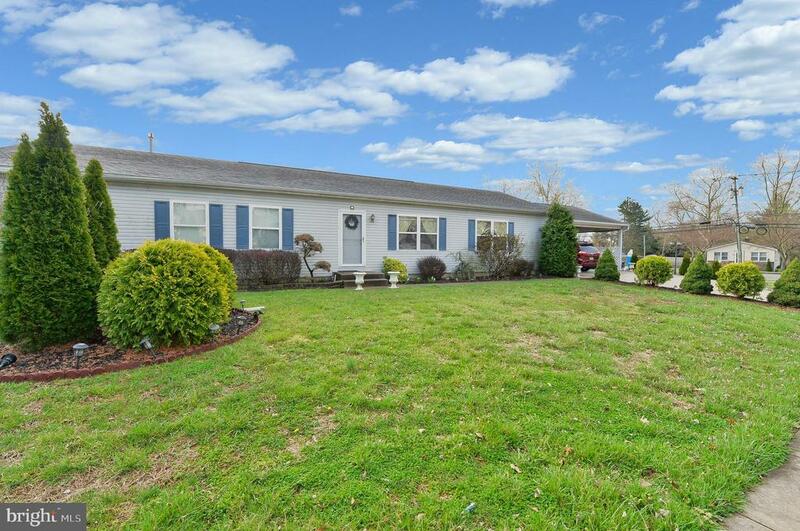 Open sun-room with tile flooring that steps out to a rear deck w/electric awning. Beautiful main bedroom suite with tray ceiling, 2 walk-in closets & a 'true' spa-like bath. Amazing finished walkout basement with a great room, den, office & plenty of storage. You really need to see all the upgrades & finished space this place really has to offer. The home is conveniently located near shopping, restaurants and Rt 295 North and South to be in the City or Delaware within minutes." "Completely renovated 5 bedroom, 2.5 bath home with open floor plan, huge kitchen with all new stainless Samsung appliance package and large island/granite counters. Wood flooring throughout first floor, large laundry room, contemporary baths. New roof, windows, siding, HVAC and much more." 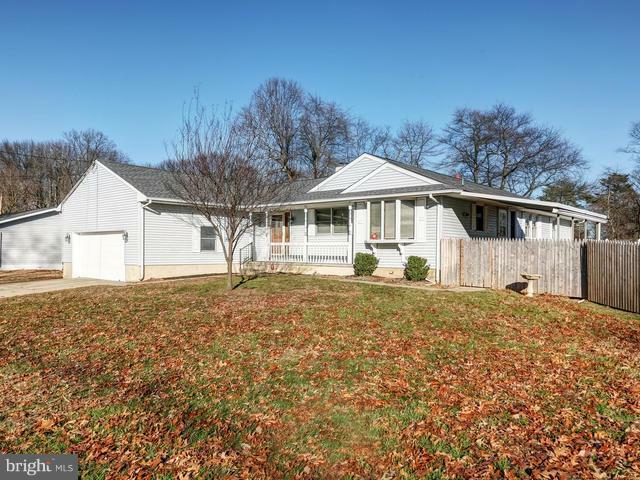 "Welcome to 1403 Red Bank Ave. Move right in to this beautifully rehabbed cozy Ranch. Home is surprisingly spacious inside and features an open floor plan. From the large living and dining areas to the deck and in-ground pool, this home is the ideal place for indoor and outdoor entertaining. A large two car Garage and sizable driveway will make sure you have plenty of room for all of your guests to park. Master Suite is private, located on the opposite side of the home. The Laundry Room also serves a Mud Room with outdoor access to the pool. Past the Laundry Room is the Living Room, complete with a brick fire place, making it spacious, yet cozy. Glass sliders in the Living Room provide access to the deck. Kitchen is full of natural light with plenty of storage and counter space. A large island provides extra prep space and a charming breakfast bar area. Dining room is open to the kitchen. Two sizable Bedrooms and a Bathroom are beyond the Dining Room. Third bedroom is to the left of the foyer entrance. Open access to the basement level which is begging to be finished. Commuting is a breeze due to close proximity to 295. 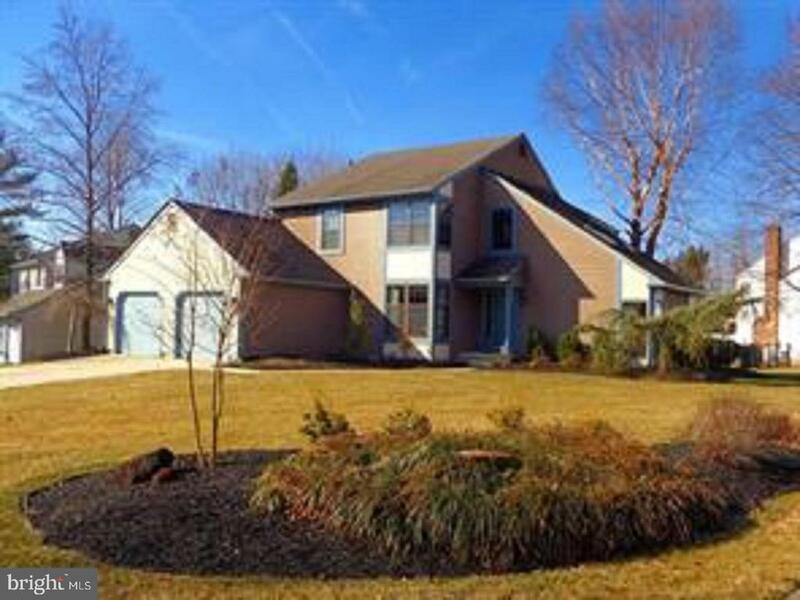 Home is located in the desirable school district of West Deptford Twp. Don't wait! Book your appointment today!" 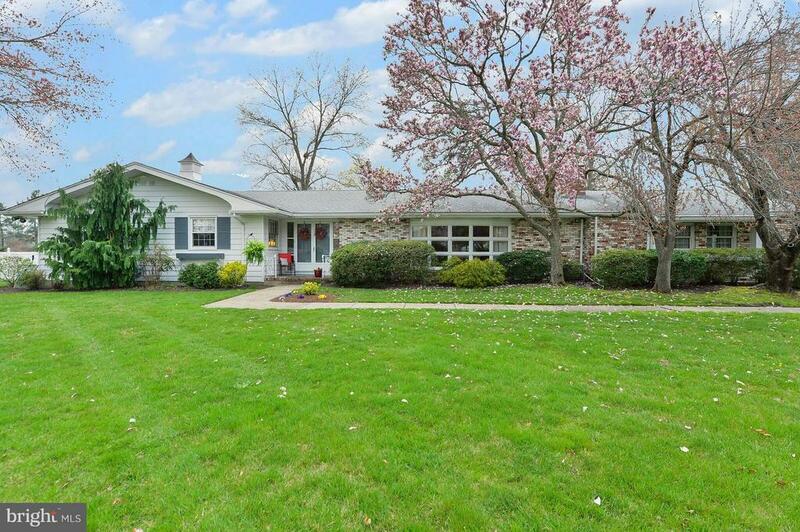 "Come see this immaculate rancher home in West Deptford. Can be the perfect home for a Mother in law suite. Its located on a corner lot which has a fenced in yard with storage shed. Open floor plan with Living room, formal Dining room, Kitchen, Family room and Laundry/Mud room. Features three bedrooms and three full bathrooms. 2 Master Suites are in this home --one on each end of the home. Both have full walk in closets and double sinks in bathroom. Third bedroom has the addtional bathroom across the hall. That bedroom also has a walk in closet. Kitchen has stainless steel appliances only 3 years young with a huge food pantry. Tons of closest space, ceiling fans throughout, all new flooring, central air, gas heat, ceramic tile and molding. More storage in attic area via pull down steps. Attached outside car port, large driveway and street parking. Close to Rt. 295, all major highways and bridges. Shopping all within 15 minutes. Do not miss out on this lovely home ! Call today, dont delay!" "***Motivated Seller*** 4 Bed, 2 1/2 Bath, 2,000+ Sq Foot home on a dead end street is situated on approx. 1/4 acre in Greenfields section of West Deptford. Pride of ownership Evident Throughout. As you enter your home, you are welcomed by the Large Living Room that offers Brand New Flooring, New Baseboards, a Large 72 Inch Ceiling Fan and a Very Large Mounted Electric Fireplace Surrounded with Exceptionally Crafted Stonework, Wood Plank Walls as well as Wood Trim. The Kitchen offers upgraded vinyl plank flooring, a great deal of counterspace, many cabinets, tile backsplash and the dishwasher and fridge are included. Off of the kitchen is a large dining area with room for a very large table. The Dining room offers wainscoting, trim, upgraded vinyl plank flooring. The Dining area features Pella Doors that lead to the Deck and Large Yard. Off of the Living Area, there are 3 bedrooms that include a Large Master Bedroom with His & Her Closets, Carpeting, a Ceiling Fan and Upgraded Master Bathroom (Miracle Method Brand - in Shower Area - Very Nice Feature) . Off of the Master Bedroom is 2 Large Bedrooms both with Hardwood Floors, Ceiling Fans and Closets. The Hallway features Hardwood Floors, a Walk Up Attic, 2 Closets, a Full Bathroom with Tub/Shower Combo. The lower level offers a 4th Bedroom with carpeting and a closet. Off of the 4th Bedroom is a Large Family Room with Upgraded Cherry Laminate Plank Flooring. This area offers a great deal of space to enjoy a movie or Sunday Football. Off of the Family Room is a large Sitting Area with a Brick Fireplace with a Pellet Stove. The 2 Fireplaces that are offered help to offset the heating costs in the home. Off of the sitting area is also a powder room (1/2 bath) with upgraded sink and cabinets. The basement area also offers a utility room with utility sink, washer, dryer, HVAC System and approx. 2 year old hot water heater. The basement area also offers additional closet space with access to a crawl space. 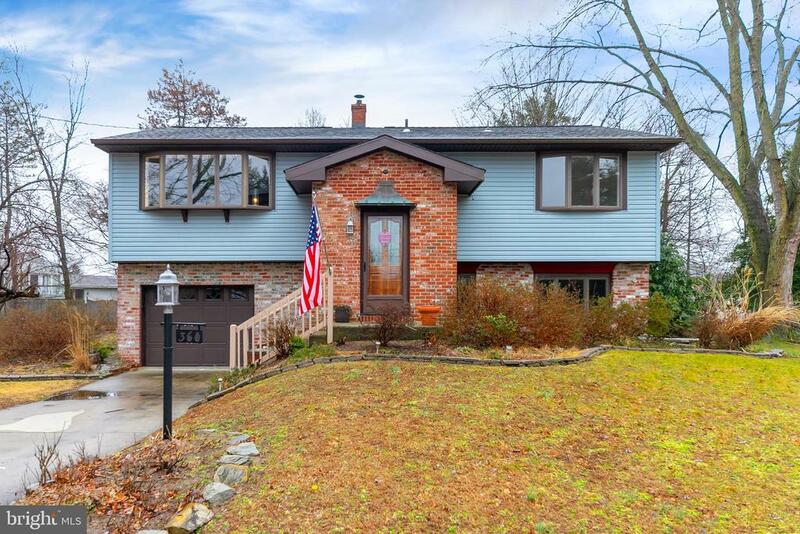 The"
"Check out this awesome expanded split level in the desirable Greenfields section of West Deptford! This home has so much to offer with the newly updated kitchen complete with granite counters, natural stone back splash, custom cabinets and ceramic tile floors. The kitchen opens up to the dining area which leads to a spacious 15' by 12' screened in sunroom perfect for entertaining on those warm summer days! The back and side yards are enclosed with a 6 foot vinyl privacy fence which provides plenty of outdoor space for your children and pets to enjoy worry free. BIG BONUS in this home is the upper floor 19' by 16' Master Bedroom complete with its own heating/cooling system. Close enough to the other bedrooms to keep an eye on all, but far enough from the main living area to provide a quiet serene place at the end of the day. The lower level features a den/playroom, laundry and powder room with a back door leading to the outdoors. When you become a West Deptford resident it entitles you to half price membership for individuals and/or the whole family at the beautiful Riverwinds Recreation Center....complete with an indoor swimming pool! All this and a HOME WARRANTY INCLUDED! Don't hesitate, make your appointment now!" "Great location! 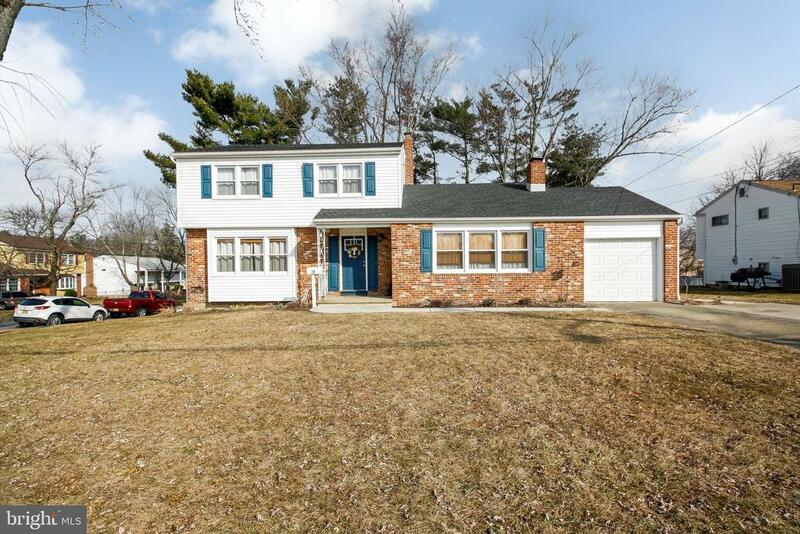 This home is in West Deptford school district with 2100 square feet of living space! It is in need of some TLCbut with a large living space, open kitchen, 3 bedrooms on the main floor and 2 additional bedrooms added upstairs. There is a huge yard with an in-ground pool. Come see for yourself!" "This property is ready for you to call home. When entering this home you will see a large open living room that is bright and airy. The room flows to the dining room and updated modern kitchen. The kitchen offers plenty of cabinet space, a stainless appliance energy efficient package and granite counter tops. There is a breakfast bar for meals on the go and seating when company pays you a visit. There is a large family room with a gas fireplace that is a very relaxing and cozy atmosphere. The main level also offers a full size laundry room, two half baths and and an auxiliary room that could be used as an office, den, etc. The upper level features four bedrooms and full bath. There are storage spaces in the upper level that helps maintain an organized household. The home has many upgrade features such as hardwood floors, recessed lighting and ceiling fans throughout. This corner property on a premium lot offers plenty of outdoor space for everyone to enjoy. The rear yard offers a large deck and over sized patio with a large shed to store your outside items. The over sized driveway can park up to four cars and an over sized one car garage. The location offers many conveniences to shopping entertainment and dining. You are minutes away from routes 295, 42 and the Philadelphia bridges. As a resident of West Deptford you can also enjoy membership at Riverwinds which offers many activities for the whole family. Look no further for a great value and well maintained home." 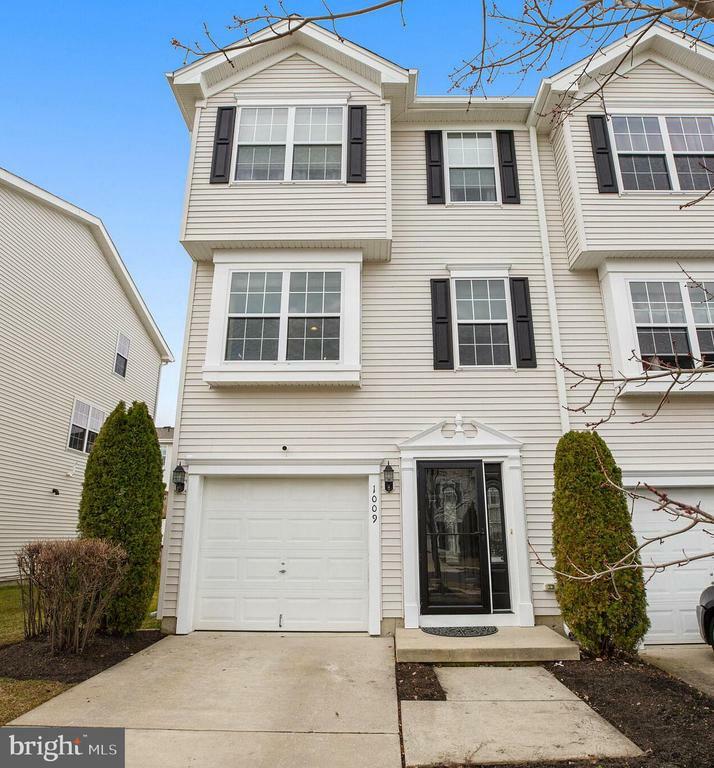 "Do not miss this immaculately maintained end unit townhome with many updates and upgrades throughout, located in The Grande at Kings Wood one of West Deptford Twp most desirable communities! This spacious 2,342 sq. ft. 3 bedroom, 2.5 bathroom townhome features a finished lower level, hardwood flooring throughout, recessed lighting, security system and more! This home is truly turn-key! The finished lower level features a large family room with sliding glass doors to your outdoor patio, a powder room, laundry room and garage access. Walk upstairs to the sun filled living room. The end unit features windows on 2 sides of the home, flooding rooms with plentiful light. The large living room leads to your open kitchen and dining room. The kitchen features 42~ wood cabinetry, Zodiaq Quartz countertops, tile backsplash, breakfast island, pantry and tile flooring. Nicely detailed millwork separates the kitchen from your formal dining room with hardwood flooring. The 3rd floor master suite is spacious and includes an impressive walk in closet and en suite bathroom with upgraded vanity and tile, large soaking tub and stand in shower. Home improvements include new front doors, replaced outdoor garage lights, and cooling fan for attic. This home is located just minutes to shops, restaurants and community amenities for convenience and just minutes to 295 and the NJ Turnpike for quick access to Philadelphia and Cherry Hill! Do not miss this lovely turn-key home. Schedule an appointment today!" 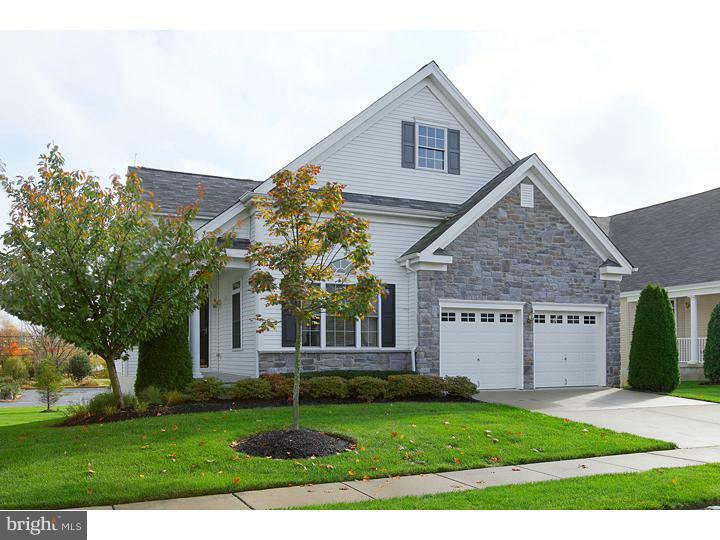 "New to the market in West Deptford! Located at the end of a desirable cul-de-sac this 4-5 bedroom 2 full bath home is ready for its new owner! With a brand New Concrete drive-way, brand new landscaping, and an oversized front step this home charms from first look. Walk through the front door into the inviting foyer with soaring ceilings, brand new foyer light, brand new tile floors and access to either the main floor or lower floor. On the Main Floor you will find a bright and open living room with ample sun light thanks to the large front window, newly re-finished hardwood floors continue from the living room into the dining room, hallway and 3 upstairs bedrooms. This home features open concept kitchen and dining space! The Brand New Shaker cabinets, brand new granite counter tops, brand new stainless steel appliances, Built-in pantry, brand new tile floor, and ample natural sun light make this a dream kitchen! To finish off the upstairs are 3 well sized bedrooms and a spacious Main Floor 4 Piece Full Bath. Down in the lower level of the home you will find an expansive Family Room with Brand New Carpet, Brand New Sliding Glass Door which provides access to the fenced in rear yard, and Brick fireplace, Also on the lower level is another Full bathroom, 2 additional bedrooms, the laundry room and access to the garage. Make your appointment today for this turn key home!" "Great New Price!! Motivated Sellers!! 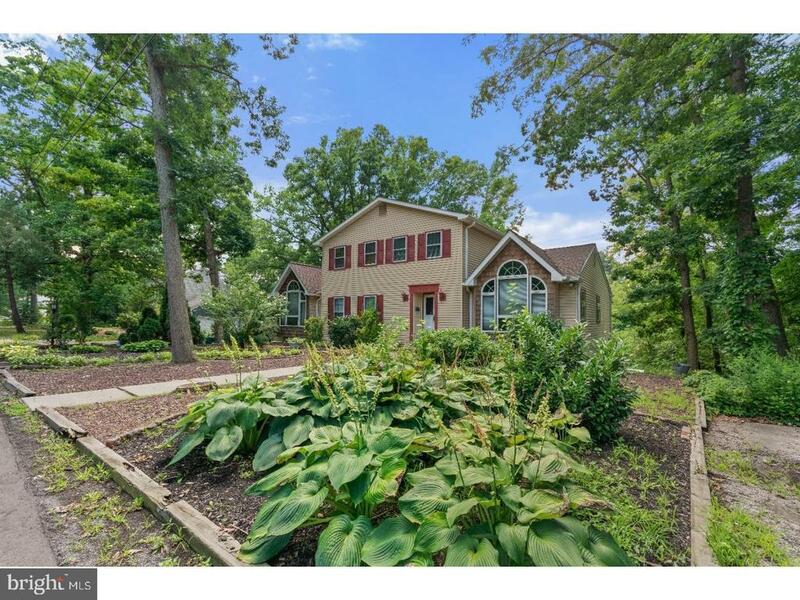 This is the West Deptford home that you have been waiting to hit the market! 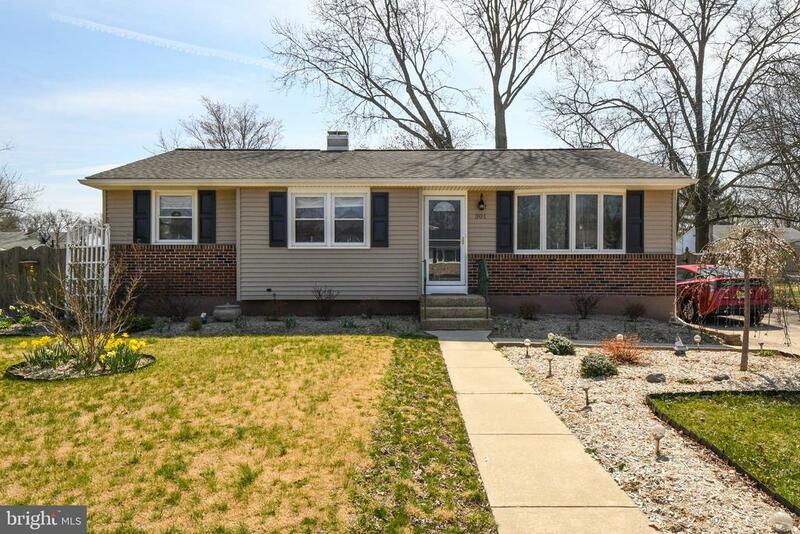 Introducing this wonderful move in ready 3 Bedroom, 1.5 Bath, front to back split level in the desired Greenfield Heights neighborhood of West Deptford. Pride of ownership is evident inside and out. This property has a truly amazing backyard that you will not want to miss! Complete with in ground pool, hot tub, amazing landscape work, hardscaping and stamped concrete make this an entertainers dream come true! Step inside to the Living room which features raised ceiling, neutral freshly painted walls and engineered laminate flooring throughout the home. This opens to the Kitchen that features new granite counters, new cabinets, backsplash and a new dishwasher. A few steps up to the upper level host the 3 Bedrooms and an updated Bathroom. It shows beautifully. The hallway has a double closet as an added feature. The lower level features a spacious Family room with brand new carpeting that overlooks the large fenced rear yard and covered patio area and beautiful wood burning fireplace. Perfect spot to enjoy those Summertime BBQ's. The combo Laundry room/utility room also features a 1/2 Bath. The HVAC was just replaced in September 2018. The property is conveniently located near shopping, restaurants, home improvement centers and quick access to Rt 295 North and South to be in the City or Delaware within minutes. This is also your ticket to be able to use the Riverwinds Community Center, desired school system and it all comes with very reasonable taxes. In addition the seller is providing a home warranty!! Hurry before this one is gone!" "Loving and meticulously maintained 12-year-old end-unit townhouse in desirable Grande and Kingswoods Community! This 3-story home offers an open, updated, and spacious eat-in kitchen with stainless steel appliances and granite countertops. The kitchen opens seamlessly into great dining room space, with lots of natural light from the rear-facing windows, and white ceramic tile throughout. The great room, with amazingly plush carpet, sits opposite the kitchen on the same main floor with more natural light from both front and side windows, only found in an end-unit! You'll enjoy the openness and the kitchen, dining areas and great room as they are a wonderful place to entertain your guests! Hardwood floor on the stairs connect all three floors, the upper floor has two carpeted bedrooms in the front, conveniently near the full hallway bath with tub/shower combination. 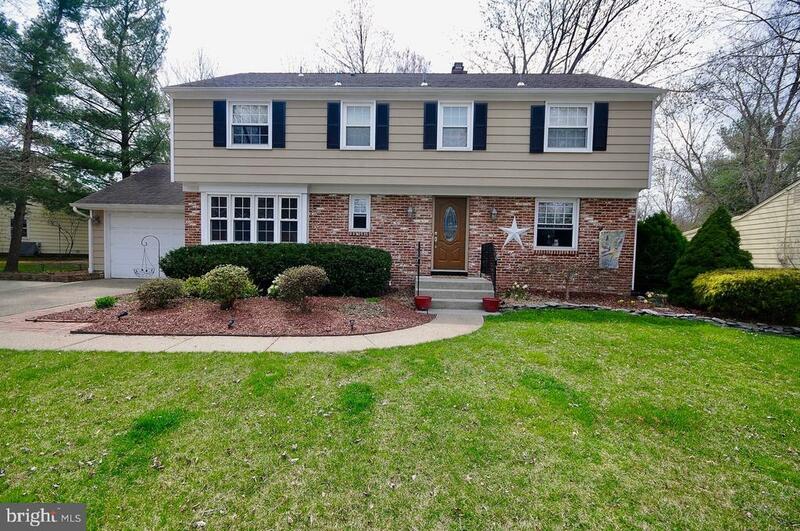 At the opposite end of the hall, a full master suite awaits with hardwood floors, huge master bedroom, carpeted walk-in closet and updated master bath with jetted tub (brand new tile being added), stall shower, double sinks and ceramic tile floor. The main floor features the front door, opening to foyer connecting the powder room and interior 1-car garage access. The family room has wall-to-wall carpet, gas fireplace, and sliding glass doors opening to rear patio facing common areas. The main floor also contains the laundry room, HVAC and hot water systems. Custom, quality window blinds, numerous windows, quality flooring and meticulously painted neutral walls. The Grande Community offers common area maintenance, exterior maintenance, lawn care and snow removal for easy living. West Deptford offers great community events, Riverwinds Community Center, a highly-rated school system, and convenient access to 295, 130 and Philly bridges." "This is the home you have been waiting for. Updated ranch on a corner lot, the roof was new in 2015 and the siding in 2016. Enter the living room to beautiful hardwood floors which lead you down the hall to the bedrooms and baths. Wait till you see the new master bath. The floor is heated and the large walk-in shower has beautiful tile from the floor to the ceiling. No storage problems with the large walk-in closet and the main bedroom opens to the deck to enjoy your morning coffee in the very private back yard with vinyl fencing. The large kitchen has ample counter space and a pantry with pull out shelves. The basement is partially finished for added living space. All this offered in the highly rated West Deptford school district. Don~t let this one get away. Schedule an appointment today." 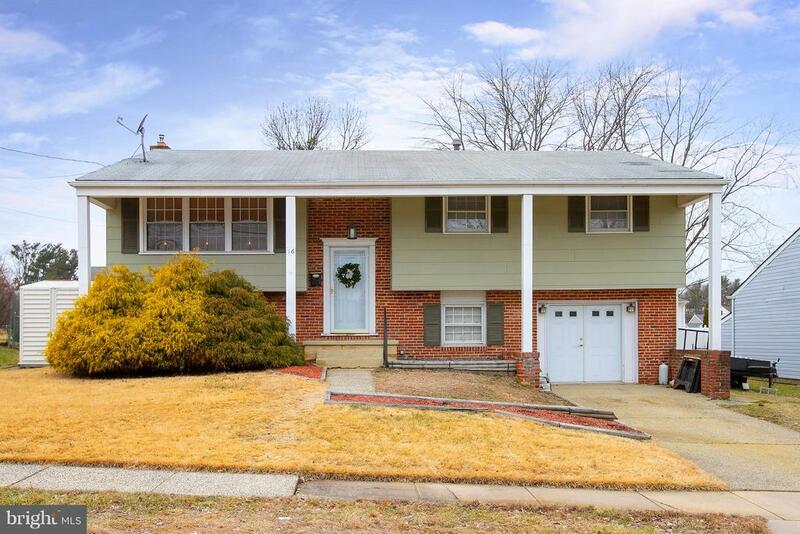 "Don't miss out on this 4 Bedroom, 1.5 Bath home situated on a quiet cul-de-sac with an oversized .42 of an acre lot in the Red Bank Estates neighborhood of West Deptford. As you pull up you will notice the newer 2 year old roof as well as having brick & vinyl maintenance free exterior. Besides the nice quiet, less traffic cul-de-sac location, you have off street driveway parking leading to an oversized garage with auto opener. 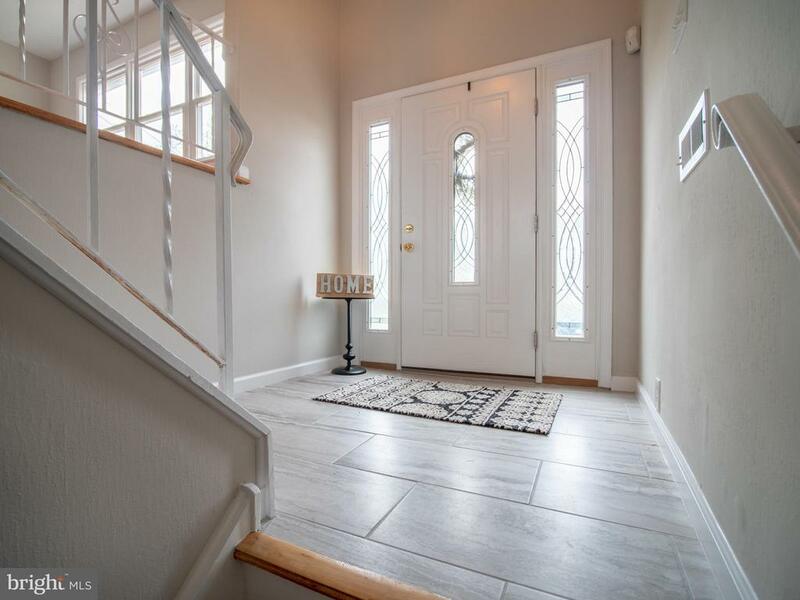 Step inside to the entry foyer that features tile floor and newer light fixture. Up a few steps this opens to the living room with Oak hardwood flooring and Andersen bay window. This area opens to the Dining room area that also features Oak hardwood flooring and freshly painted builtin cabinets/shelving unit and a huge picture window overlooking the rear yard area. This area is open to the Kitchen which also features oak hardwood flooring, freshly painted cabinetry, new tile backsplash, new counters, new sink & faucet, new SS cooktop, new SS wall oven, new SS exhaust hood, new SS dishwasher and new SS refrigerator. The Kitchen steps out through a Pella slider to the rear 2nd floor 16x10 covered deck/porch area. Perfect spot to relax with the morning cup of coffee or hosting those Summertime BBQ's. This area overlooks the large just under 1/2 acre lot. One of the largest lots in the neighborhood. Follow the Oak hardwood floored hallway to 3 of the 4 Bedrooms on this level that all feature Oak hardwood flooring as well as well Andersen and replacement windows. This level also features a full Bath w/ceramic tile tub/shower surround. The lower level of this home features the 4th Bedroom with freshly painted walls and new carpeting as well a family room that also features freshly painted walls, new carpeting and a brand new slider out to the ground level patio that overlooks the oversized rear yard. This level also features a remodeled Powder room and a Laundry room that houses the washer & dryer hookups, brand new electric service, gas heater, ga"
"Don't miss out on this Beautiful 3 bedroom 2.5 bath townhome in The Grande at Kingswoods section in West Deptford. Beautiful rear yard views backing to a wall of Evergreens and bamboo. The 2 Car off street Driveway leads up to the 1 car Garage to keep you out of the elements when entering. The covered front entry porch is a nice feature to sit back with the morning cup of coffee. Step inside to the spacious Welcoming 2 story entry foyer with ceramic tile,hardwood flooring and control panel for the security system. Nine foot ceilings & Hardwood flooring flow into the open living and dining room areas. The Dining room is spacious in size & features crown molding and chair rail trim. Perfect when hosting those Holiday get together's. The open living room features high hat lighting and a Marble surround gas log fireplace to snuggle up to on those cold Winter days. The open Kitchen & Breakfast nook area overlooks the wall of evergreens and bamboo. The kitchen features a 42-inch Maple cabinets w/crown molding, ceramic tile flooring, upgraded counters, Stainless Steel appliances and built in sound system speakers that are throughout many areas of the home. Just off the Breakfast area is a slider that leads down to the rear patio area. Perfect spot to have a BBQ. Also featured on the 1st floor is a Powder room. The 2nd floor features a open Loft area with Oak railing that overlooks the foyer area below. This area would be a perfect computer area or home office. The 2nd floor hall Bath has been upgraded with ceramic tile. The main Bedroom suite features a bump-out Bay window overlooking the farm area behind, one walk in closet, separate double closet, security system control panel and built-in sound system speakers. This suite also features a spa like Bath w/ceramic tile, relaxing Garden tub, separate shower stall and double sinks & vanity. The 2nd floor also features the 2nd & 3rd Bedroom and a convenient 2nd floor Laundry room. The fully insulated English Daylight Basement"